Experience Matters. Sell your home with us. The Dart Homes team is a small team with a big heart. It was created to fill a void. One defined by service, not sales. Our goal is to serve our clients with the best technology and most innovative practices, without forgetting that old fashioned values like professionalism, honesty, and integrity still matter. Your home is one of the biggest investments of your life, and when it comes time to sell you need experts on your side. The Dart Homes team is one of the fastest growing in the region, built on a foundation of integrity, energy, and innovation. We offer a wide range of real estate services from buyers agents and listing services to investment guidance and property management, emphasizing both conventional and forward-thinking methodologies to quickly reach your buyer. For each home we create a customized and comprehensive plan that takes all avenues of marketing into consideration: print, digital, public relations, advertising, and social media. We have an expansive knowledge of the market and do extensive research for every home we list to ensure that we recommend the best price. The Dart Homes team is recognized as one of the best in the nation and consistently ranks in the top 5 in the Washington, DC region, top 10 in the Mid-Atlantic, and top 100 in the U.S. In an industry rife with gimmicks, shady practices, dishonesty, and false promises, we pride our-selves on being different. We outperform the competition, selling your home in less days and at a better price than anyone in our region. Our goal isn’t just to get your home sold, it’s to make you happy. That’s why over 70% of our sales are from past clients and referrals. When you work with us you aren’t just getting an agent, you are getting the backing of a devoted team of experts to handle every aspect of the process. From the start, with a comprehensive evaluation of the current market, all the way to the nego-tiation table, our devoted team works together to exceed expectations and minimize stress as we help you navigate your real estate transac-tion. We even have a moving truck available for your use to make the transition as seamless as possible. Year after year, regardless of market conditions, our tailored campaigns have proven successful in selling properties in a wide range of prices, styles, and locations. A native Washingtonian, Nathan Dart’s expertise is built on a solid foundation; he grew up assisting his father and former #1 REALTOR® in Maryland. After graduat-ing from the University of Maryland, they joined forces at Dart Homes, combining years of proven real estate experience with an entrepreneurial style that continues to generate success for all types of clients, in all types of markets. 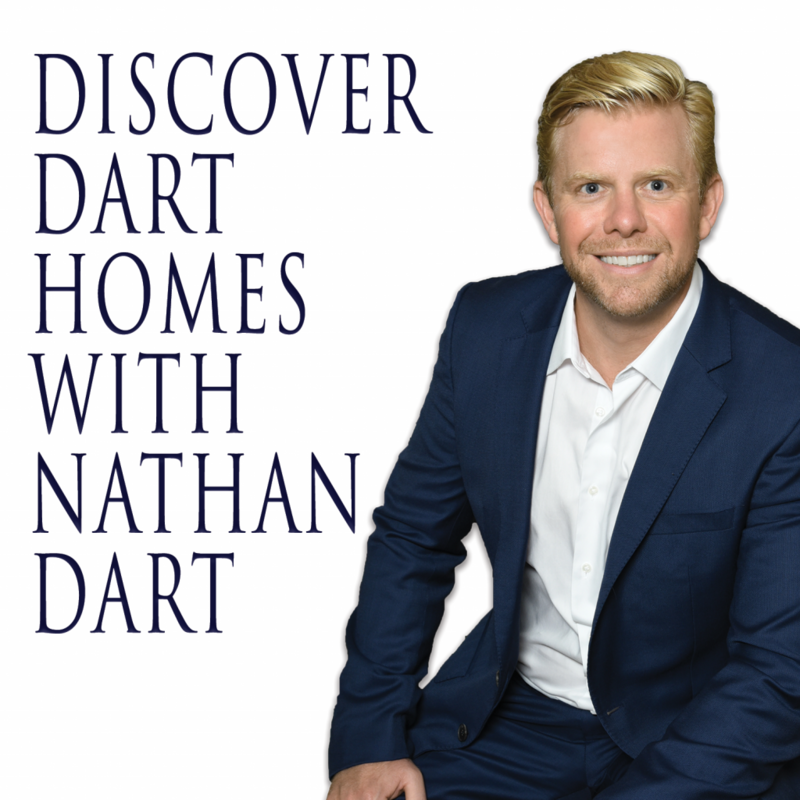 As founder and team lead of Dart Homes, Nathan brings authentic warmth and unbridled passion for real estate, leveraging the power of cutting edge technology, best-in-class marketing, and wide-reaching listing strategies to facilitate that perfect matchmaking moment between buyer and seller. Most agents are one-man shows with limited resources, time, and energy. With us, you get an entire team of professionals working for you. Nobody can be great at everything. That’s why we have buyers specialists, listing specialists, client coordinators, client advocates, general managers, and marketing specialists. Wouldn’t you rather have a whole team standing behind you rather than a single agent?